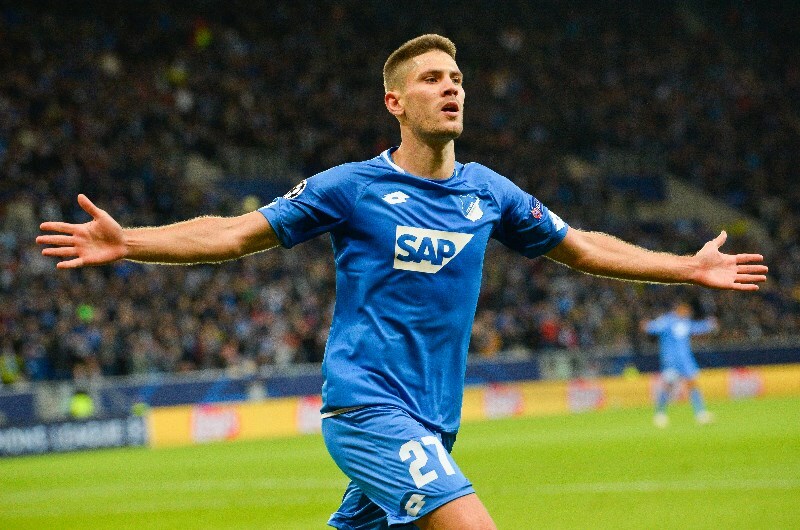 It was a slow week in Europe for Croatia’s internationals but Hoffenheim’s Andrej Kramarić got on the score sheet with a penalty kick against Fortuna Dusseldorf on Saturday. Kramarić stepped up to the spot in the 16th minute and cooly rolled the ball to the left of the Fortuna keeper. With he draw, Hoffenheim remain two points back of a Europa League berth. Ante Rebić had a strong performance against German leaders Borussia Dortmund; hitting the post with a right-footed bender in a 1-1 draw. Rebić has been on fire the past month and his stock is only rising. Where will the Eintracht Frankfurt go this summer? Clubs will be after him. Lovre Kalinić posted his first clean sheet for Aston Villa in a scoreless draw against Reading on Saturday. Kalinić made two saves and had to defend five corner kicks. 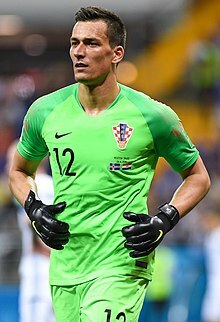 It’s slowly coming together for Croatia’s #1 keeper as he conceded three goals a piece in his first two matches for Villa after his transfer nearly four weeks ago. Mateo Kovačić could have used a start to boost his morale on Saturday as Chelsea hammered Huddersfield Town 5-0. Instead, Kovačić came off the bench in the 70th minute with the match in hand 4-0. Kovačić will need to get on the score sheet sooner than later or have some Modrić-esque matches if he plans to leave Chelsea in the summer with a positive grade. He is currently on loan from Real Madrid. Watch him blow up like Rebić and Rakitić did at age 24, lol. 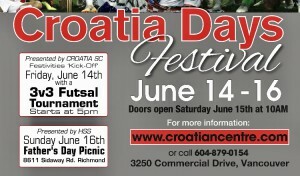 Not sure what it is about that age, but it always seems to be the breakout age for Croats. Rebic with a great game really unlucky not too have scored was terrorizing Borisia’s defense today. 18-24 our boys are making bonehead moves to clubs where they simply do not play. Agents or D’agents ( dad – agent) working with or against corrupt or broke NK’s thwart there development. Finally, after multiple bad moves the nogometaš comes out to play. Germans stay put in bundesliga and continue to play and develop. Jebi ga .. USA players are now going that route as well. Love the survey question today! Kovačić .. Di si ti?? I have been bigging him up for years. Time for him to be aggressive. And sort out his club future this summer. Actually feel that Real Madrid could really use him but both parties may not agree? Kovacic is not gonna stay at Chelsea. He doesn’t move the needle enough for them to drop 50 million for him. He will either end up on the bench again at Real, or get loaned out to some other club (probably with an option to buy). With Modric possibly leaving, I can see Real wanting Kovacic back…but I can see them dropping some coin on a serious name to play in the midfield and wing (like Pjanic and Hazard). So, either way, Kovacic heads to the bench again as a depth player. Thanks. I’m starting to get really concerned that Kovacic is going to be a bust. At this rate Chelsea will not want to keep him and Real Madrid will have to buy someone to replace Modric. And Kova is nowhere close to being a Modric replacement. He really needs a strong 4 months here. Just a random thought. Would Kovacic be a good fit at Bayern? I was thinking a lower tier Bundesliga team that could use the creativity in midfield, but they do not spend big money. Bayern has the money to buy him and they also (at least currently) have Niko Kovac who managed to revive Rebic’s career. Kovacic still looks good when he plays with his dribbling runs, but he just usually does not have that final critical play in him. I say he tries to go to someone like Bayern, Dortmund, Juventus, or even PSG. I’m not sure he would do well in an environment where he is the best player on the team yet. He seems to do the best right now when he and Hazard are playing off of each other, but only time will tell with him. This Sarri situation with Chelsea is tough. Hazard wants out of the club and certainly not buying into Sarri ball. Everything has looked a bit disjointed. Kovačić chose Chelsea but seems like a difficult loan spot for him. His quality his clear as #8. Which club/system is best for him is the unknown? We are finally realizing how legend Luka Modrić is and comparing anyone to him is not possible. Modrić at essence is like #8 with magical powers in the final third. These powers have been dormant for years until Croatia and now Real Madrid needed them. Real Madrid need to buy a world class forward. The person needed to be replaced is Kroos. Give the #8 shirt to Kovačić. That Bayern thought you have makes sense to me and could be a great option. But Bayern is another tough landing spot. If things go south for Kovačić he may have to find a place to stabilize his career in a lesser club. Actually, it’s bad news for Inter (not Vrsaljko). This is actually VERY good news for us. He needed to fix that knee for the longest time. Most clubs would try and push you through it, but he opted to get the surgery and fix it. He will be out and out of form for a year, leaving him with about half a year to get back into form for Euro 2020. Perfect timing for us. I could give two shites about Inter or Atletico’s seasons. That comment you made hit the nail on the head. Kovacic is an excellent midfielder, but he’s a supporting player, not a star player. He would be a good fit at Bayern, but I wouldn’t expect him to do anything remarkably different than what’s he’s been doing at Real or Chelsea. He definitely belongs in the top leagues (EPL, La Liga, Serie A or Bundesliga) and can even play in the top teams like Real and Chelsea…but he’s not a guy that will push you over the edge and get you to the top. He’s more of a guy that can maintain your position near or at the top. It’s happening at Chelsea right now. They will secure a top-4 berth, but it’s not like he will do something to get them over Man City or Liverpool. He’s awesome at giving you that stability and possession in the midfield, ensuring that you consistently dominate against lesser teams and is a catalyst for more impactful players (like Hazard). But, he’s not a complete midfielder that can suddenly create or score some injury time game winner in the final moments. He will always be a solid midfielder for us, and will borderline starter for us (ensuring that we dominate possession and shut down other midfielders defensively)…but I think guys like Vlasic and Brekalo have way more upside in terms of having that impact for us to change a game (a la Ivan Perisic). Kova is not the type of guy to put his name into the score sheet everyday…that, in my opinion, is why he seems to be falling short of his potential. Anyone who watches some Chelsea games probably agrees with me that he is an outstanding midfielder, like you had said @maminjo. I totally agree that he is a supporting player. Guys like Ivanušeć (20) and Moro (20) are central midfielders that can score, and that will cause problems for Kova in terms of national playing time. Both guys that I mentioned, along with Brekalo, were mentioned in UEFA’s 50 For The Future and are hyped because they are consistent and can put the ball in the net, unlike Kova right now. Kovacic should go back to Madrid as a replacement for Kroos. Madrid was a winning team with Kovacic playing as a supporting midfielder in tandem with others, and that is also exactly the kind of player Kroos is. The coaching staff at Madrid will change next summer, along with the roster of players. Kroos will likely be replaced, and Kovacic is the man for that spot, as neither Isco nor James (rumored to return) nor Ceballos can do defensive duties and also provide assists. Madrid’s greatest weakness is its defense, so Kovacic may keep his spot on the team. @great anonymous doom, yeah I agree. Kroos looks like he’s aged more than Luka has. Luka played a solid game today Madrid’s 3-0 win. I’ve always said that kovacic game lacks bite. That being said, i still think he’s a fine player. Modric has been great while neither scoring nor assisting. Our midfield is our bread and butter. We’re elite in that regard. We have a player who can play on Real and Chelsea, is overlooked for a few tournaments now, and we still almost win a World Cup. If we can ever produce defenders at this same level, it will consistently keep us at elite level alongside Brazil and France. Belichick and Brady 6 Rings the GOAT defeated the RAMS! Pats and Brady all time NFL greatest period! I think Kova needs a year or two at a club where he is the man. Similar to what Raki did at Sevilla. He needs some serious playing time to figure out the rest of his game. Fighting for playing time at top clubs (and even for the NT) is hurting his development. Dude needs to play, week in and week out. The problem with Kovačić is that his salary is high and his current club paid a high amount for him. Going to Sevilla would be great, but they don’t have the money for him nor do they want to do Real a favor and develop him for them. Rakitić was fully owned by Sevilla and they let him play through his growing pains for at least two years, until he started paying huge divideds. 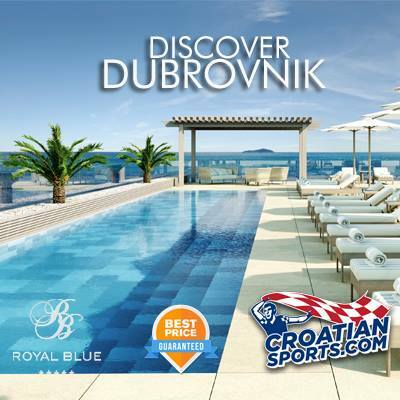 No team will be able to do that for Kovačić, unless they have $50 million to spend. Then its back to the bench at RM for him, unfortunately. Or perhaps RM loan him out again to another team outside of Spain. I wish he should of stayed at Inter. I believe Kovačić makes something like $6 million per season (which is high for a footballer). I remember when Balotelli went on loan from England to Milan, he had to take a pay cut down to $4 million for them to accept. Teams like Sevilla or Borussia do not pay their players salaries like this, nor do they spend $50 million in transfer fees on one player. Kovačić will have to go back to Real, hope that Modrić leaves, and that Real fail to make a big midfielder signing. Kovacic did well when he played at Real. He is a natural replacement for Modric or Kroos when either was hurt or injured. He played a number of El Classicos to great effect. He effectively man marked Messi during those matches.